As announced in a stunning gameplay trailer, Sniper Elite V2 Remastered launches on PS4, Xbox One, PC and Nintendo Switch in 2019. Fans can return to Berlin and revisit an epic campaign set in the final moments of World War 2. Offering stunningly enhanced graphics, 4K resolution and HDR display, this is the visually definitive version of Sniper Elite V2. It will introduce new playable characters, a brand new photo mode, expanded online multiplayer for up to 16 combatants*, as well as all the content ever released for the game. 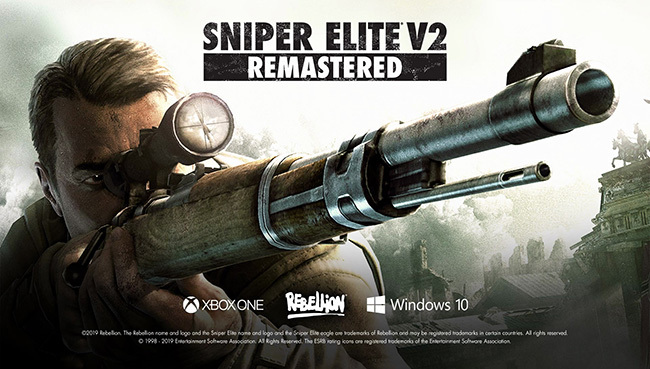 Sniper Elite V2 Remastered will be released both digitally and at retail later this year.